All Temp Can Assist with Any Commercial Refrigeration Need – Contact Us Today! Any business that requires the use of commercial refrigeration units knows how important they are to the success of their business. That’s why having a reliable commercial refrigeration system is sought after by all companies that use them. All Temp AC and Refrigeration understands this and has helped serve multiple companies with the best technical expertise over the years. The maintenance and upkeep we provide help businesses avoid any sudden malfunctions or breakdowns their refrigerators may develop. 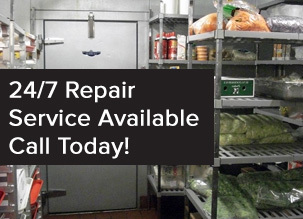 Even when the unit needs repairs or replacing, our team of professionals is more than capable of resolving all issues associated with commercial refrigeration. Dealing with the loss of a commercial refrigeration unit usually means additional expenses your company will have to pay for. Fortunately, All Temp has maintenance plans that keep systems running well after the installation of a new unit. These plans are beneficial and crucial if you plan on using your commercial refrigerator for several years. Implementing All Temp’s maintenance plan can help your business in many ways. By constantly maintaining the system, it stays efficient and continues to run smoothly which helps save on utility bills all year long. Several procedures and tests are done on commercial refrigerators to greatly decrease the risk of it breaking down. The units receive in-depth cleanings, performance tests, checks for leaks and worn gaskets, replenishing fluids lost from any leaks, and any other tasks that may be required. All Temp even has no problem repairing or replacing commercial refrigerators for businesses that chose not to use a maintenance plan. 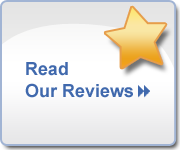 The trained professionals at All Temp have the ability to fix any problem your system may be dealing with. Any company experiencing setbacks with their commercial refrigerator should contact our experts immediately to remedy the issue. There are several regulations and requirements on how certain items must be stored in refrigeration units, so when your system goes down, assistance is needed right away. All Temp vows to be there for your business whether it’s for repairs, replacement, or just routine maintenance. Losing a commercial refrigerator for any amount of time can compromise your inventory. That’s why All Temp has experts available at all times of the year and even in emergencies. For the best commercial refrigeration service in Orlando, contact All Temp at 407-857-7800, and we’ll help you begin your path to having a better running, more efficient commercial refrigeration system.